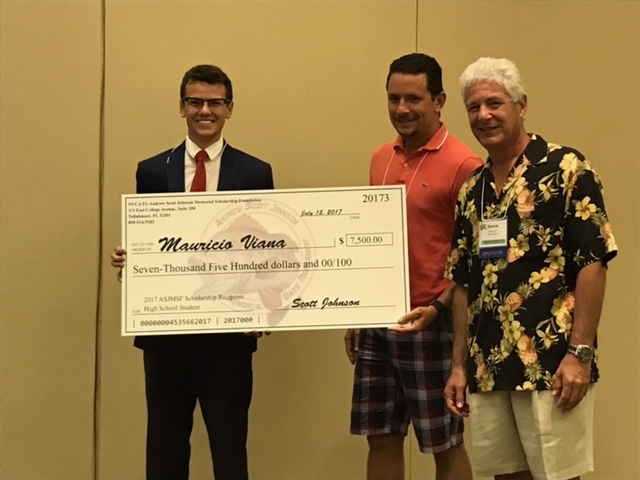 The NUCA of Florida/Andrew Scott Johnson Memorial Scholarship Foundation, Inc. was established in memory of the son of NUCA of Florida Past President Scott Johnson (Johnson-Davis, Inc.). On December 28, 1999, Scott and Robin Johnson’s son Andrew “Andy” Scott Johnson was tragically killed in an automobile accident at the age of 19. At the time of his death, Andy was a sophomore at Vanderbilt University studying Civil Engineering with hopes of entering the family business. The Foundation is funded with proceeds from its Annual Fishing Tournament. The applications are due no later than May 30th, 2019, in order to be considered for an award. 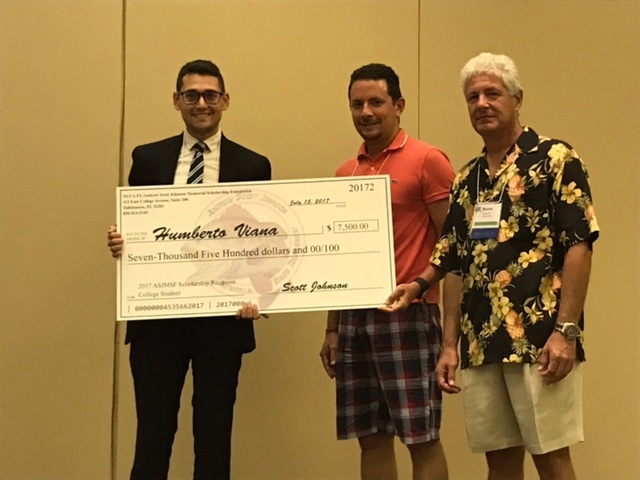 All NUCA of Florida members, their offspring and their employees are eligible for the scholarships which vary in awards based on the quality of the application as determined by the review committee. Additionally, anyone who sponsored the ASJMSF Bass Tournament at the Major Level ($500) and above is eligible to apply. Scholarship winner Humberto Vina, Distinguished College Recipient. Distinguished High School Winner, Mauricio Viana. Award presented by Rob Lima and Bernie Vito from Johnson-Davis in Scott Johnson’s absence.